The Intel Compute Stick STCK1A32WFC is a new generation pc-on-a-stick device that offers the quality and performance. It comes with built-in wireless and Bluetooth connectivity, built-in storage, and a Micro SD card slot that allows you to expand this compute stick's storage further. This stick offers a new way to serve up home entertainment, enabling it's owner to transform an HDMI display into a fully functional computer. 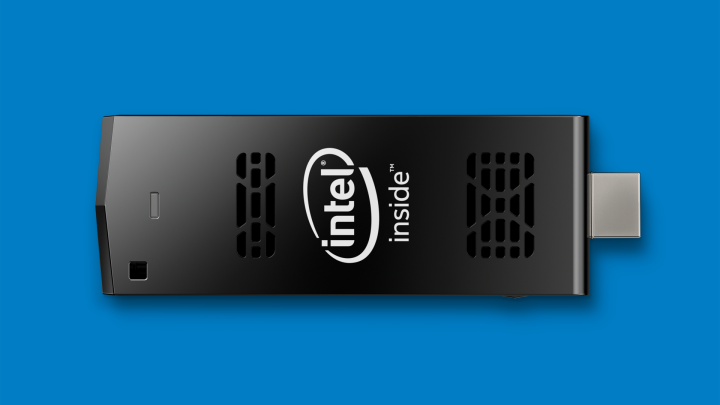 The Intel Compute Stick has a quad-core Intel Atom processor. Transform any HDMI monitor or TV into a computer with the Intel Compute Stick complete with a quad-core Intel Atom processor, Intel HD Graphics, integrated WiFi and Bluetooth technologies, 2 GB memory, a USB 2.0 port, and a Micro SD card reader.It also comes with 32 GB of on-board storage and comes with McAfee® Antivirus Plus for comprehensive protection from Trojans, viruses, spyware and more. To Recieve updates and possible rewards for Intel Intel STCK1A32WFC Compute Stick PC please sign in. 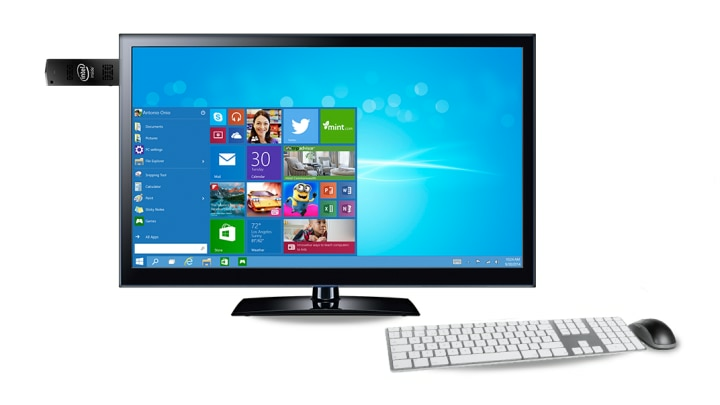 To Recieve updates and possible rewards for Desktop & Mini PC please sign in.